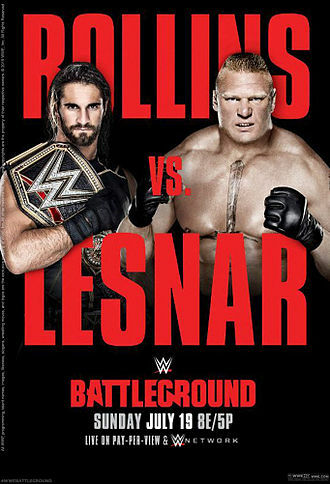 It's time to take a trip to Suplex City as we take a look at WWE's latest pay-per-view offering, Battleground, shown live in the early hours of this past Monday morning on Sky Box Office here in Britain. The show began with Sheamus taking on Randy Orton. Well, as far as show openers go this wasn't too bad. These two matched up against each other pretty well. There were some nice brawling segments early on before they got down to the more serious moments in the ring, and the back and forth exchanges where they countered each other was probably the best bit of the match. However, and I'm probably the only one saying this, the match seemed to drag on a little towards the end, and it seemed as if it was two or three minutes too long, especially after Orton kicked out of the pin after Sheamus' brogue kick. It probably would have been better if Orton had gone for the finish there. Instead we got Sheamus locking in a cloverleaf which Orton eventually escaped from. Seconds later it was all over. After Sheamus helped his man to his feet Orton went to nowhere and brought back an RKO for the winning pin. The first title match of the evening saw the New Day's Big E & Kofi Kingston challenging Darren Young and Titus O'Neil of the Prime Time Players for the Tag Team titles. I think the best way to describe this one would be short and sweet. It didn't last that long, but it was filled with a ton of great action from both teams. And you know what? I think I'm finally starting to warm to the PTPs. Young and O'Neil looked great early on before the New Day boys slowed things down and used Young as their proverbial punching bag as the annoying Xavier Woods cheered them on from ringside. Eventually Young managed to make the hot tag, and although big O'Neil pulled off some nice moves it wasn't long before Kingston and Biggie were taking out their frustrations on him as well. Then it was on to the all hell breaking loose segment, and once again the PTP boys looked great, especially O'Neil, as he took Biggie out with his sit-down spinebuster thing for the title-retaining pin. The big grudge match followed as Bray Wyatt went up against Roman Reigns. There's nothing like a good old fashioned brawl to get the pulses racing, and that's just what we had here, the proverbial knock-down, drag-out affair with two big guys beating the hell out of each other. Once again Wyatt's performance was spot on as he mixed mind games with tremendous in-ring action. He threw everything he had at the former Shield man, and then some. Mind you, Reigns wasn't far behind him performance-wise. He many not be everyone's cup of tea at the moment, but you can't argue against the level of his performances in recent times. He took everything Wyatt had, and then some. Another level of brutality was almost added as they moved towards the end. After a brief brawl in front of the commentary tables Reigns decided to steal an idea from his opponent and bring a few chairs into the equation. Then, suddenly, a mysterious figure in a hoodie appeared from the crowd and attacked Reigns from behind. A few moments later Wyatt finally managed to put his man away with sister Abigail, and after taking the winning pin it was revealed that the hooded stranger was none other than Luke Harper re-uniting with his old mentor. Triple threat Divas action followed between Sasha Banks, Charlotte and Brie Bella. I suppose I can't really call the Divas match filler material this time around, can I? It was quite an enjoyable encounter, with Banks and Charlotte looking pretty good on their big pay-per-view debut, and all three combatants put in a good effort. For me the best sequences were between Charlotte and Banks. I've never seen any of their NXT matches, but I could definitely see the great chemistry these two have with each other, and there were times when I wished this was a singles match instead of a three-way. In the end the win went to one of the new girls as Bella tapped out to Charlotte's figure four variation. The penultimate match saw Kevin Owens challenging John Cena for the United States title. Now these two definitely had a lot to live up to following their previous encounters. So was the third time a charm? I would have to say yes, yes it was, because from start to finish this was another enthralling encounter. It was just as dramatic as everything they'd done before. It was a brilliant piece of storytelling in which they threw everything they had at each other and more, and as the match went on both men became more and more frustrated at their inability to put the other away. In fact it got to a point where Owens was even using some of Cena's trademark moves against him, an insult to some but a form of flattery to others. Eventually something had to give, and after what seemed like an eternity of great action Cena locked in the STF once more. Owens held out for as long as he could until the inevitable happened and he tapped out to give Cena the submission win. The main event saw Paul Heyman guy Brock Lesnar challenge Seth Rollins for the WWE World title. Well, this wasn't as one-sided as I thought it would be. Okay, it was pretty one-sided, and quite entertaining. Rollins played the part of the cowardly heel to perfection while Lesnar was at his dominating best. The champion got in a few moments of offence, and he actually took the big man down at one point after a series of kicks to the head. But for the most part this was all Lesnar. Rollins was taken to Suplex City more than ten times, before taking him down with an F5. But just when it looked as if he was going to get the title-winning pin, it happened. The bell tolled and the lights went out. When they came back on Rollins was nowhere to be seen, and in his place stood none other than the Dead Man himself, the Undertaker. The man from the dark side managed to do what Rollins had failed at as he took Lesnar down with his trademark moves, finishing him off with two tombstones to leave him laying in the ring. 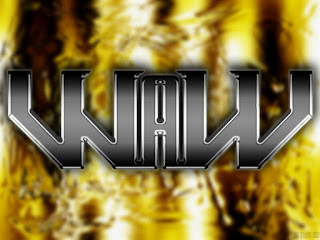 As for the result of the match, it was only announced on WWE's website later as a no contest. In conclusion - this was a pretty decent show, and while it wasn't WWE's best pay-per-view offering this year, it certainly gave us some great action. All of the matches here delivered, especially the Wyatt/Reigns and Cena/Owens encounters, and the main event kind of played out how I expected it to, although I thought Rollins would find a cheap way to retain his title. The arrival of the Undertaker never came into my thinking. As for my match of the night no-prize you've seen who the two main contenders are, so let's give it to the third chapter of the Cena/Owens rivalry. While some of you may be appalled at Owens' loss to Cena, look at it this way: Cena had to stay strong because he's challenging Rollins for the title at Summerslam, and if Rollins defeated Cena it would give the champion a hell of a lot of credibility. So with all of that out of the way there's just one more thing to do, and that's to give this year's Battleground the thumbs up. Before I go, yours truly made an appearance on BBC Radio Norfolk this past Thursday when morning show host Nick Conrad visited the RNLI Henry Blogg Museum in my hometown of Cromer, where I volunteer at weekends. The show will be available for the next few weeks on BBC's iPlayer, and you can hear the show by visiting http://www.bbc.co.uk/programmes/p02vh064. I'm mainly on in the first hour, but if you listen to the entire show you get an idea of the sort of work we do at the museum.